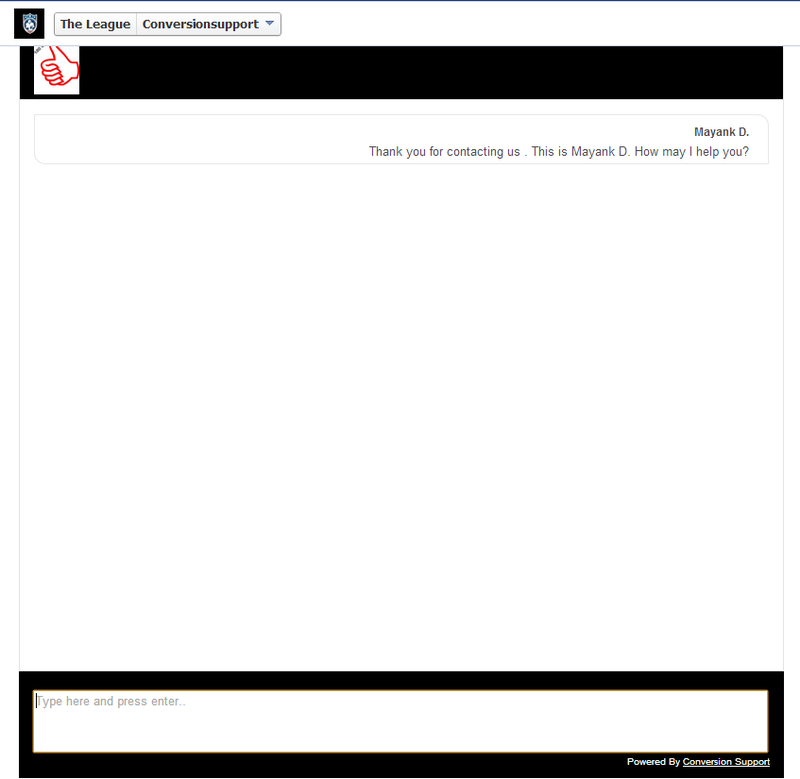 Do you know that you can use Conversion Support’s live chat to take chats from your Facebook page? If you have your business page on Facebook and you want to take live chats from Facebook fans and followers, you can install Conversion Support’s live chat directly in your Facebook page. 2. 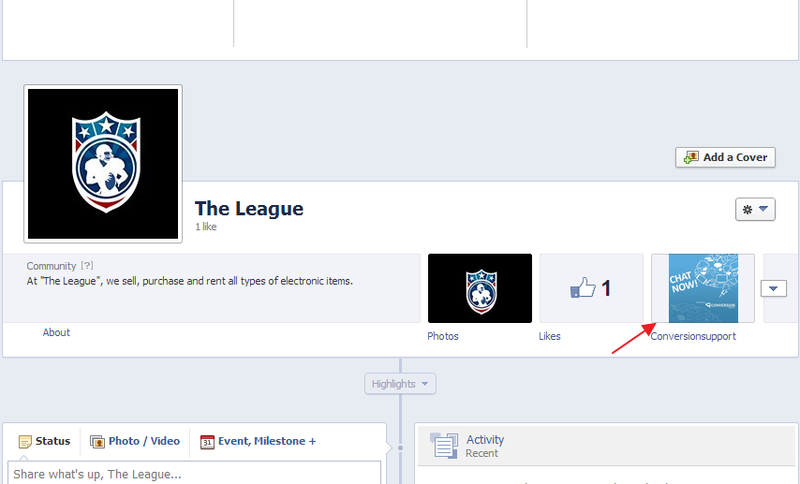 On the “Settings” page, click on the “Facebook” icon. 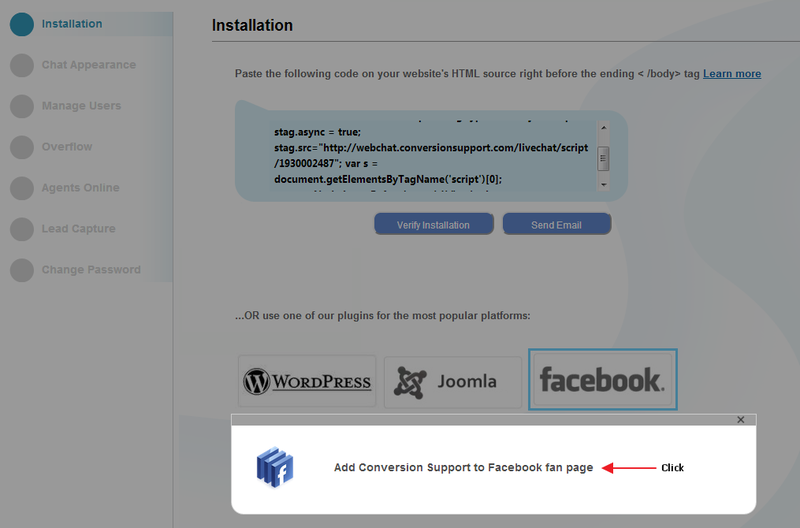 Next, click on “Add Conversion Support to Facebook fan page”. 3. 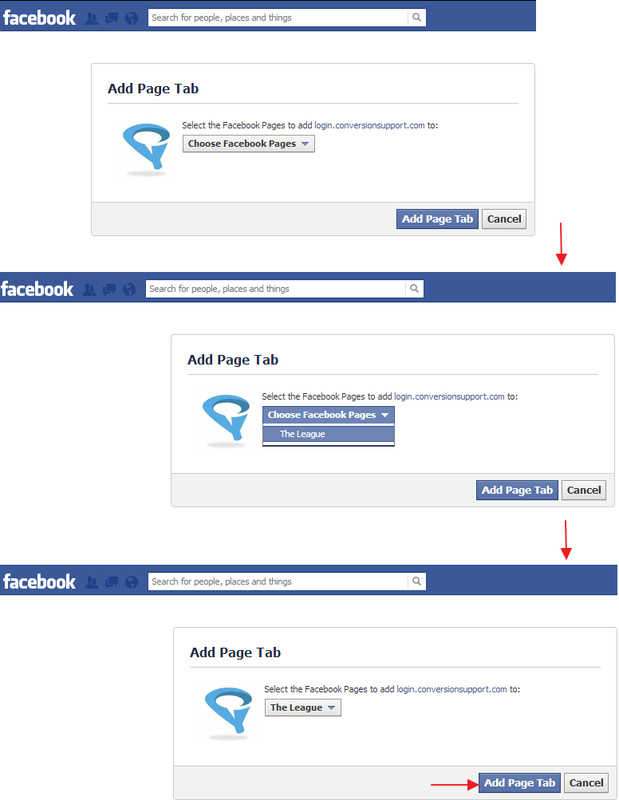 Once you are logged into your Facebook account, select the Facebook page where you want to add Conversion Support live chat. 5. Congratulations, you have successfully added the Conversion Support app to your Facebook page. 6. 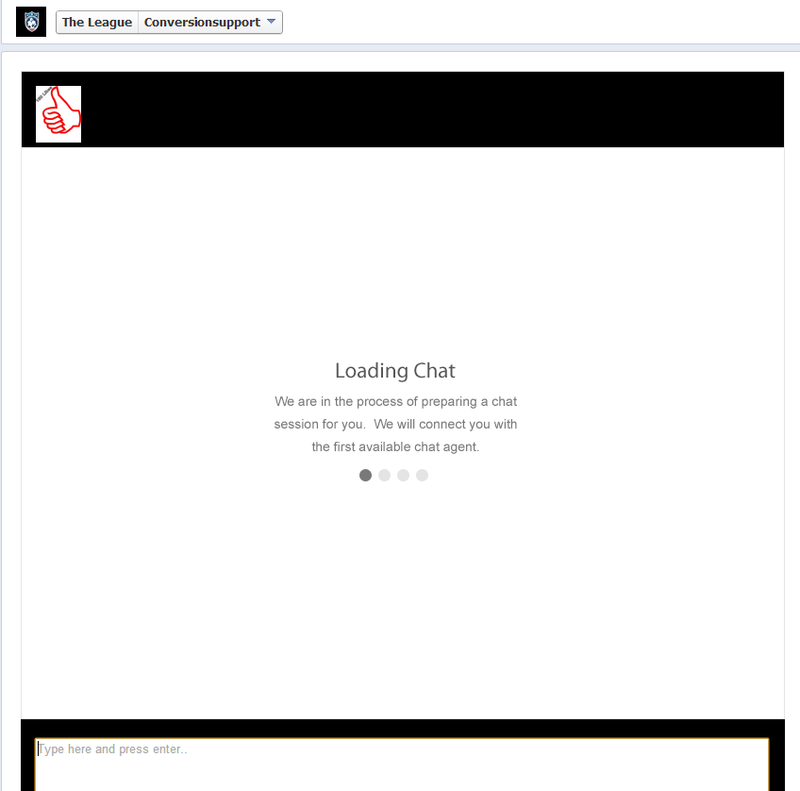 Now, whenever your Facebook page visitors have questions, they have to click the “Conversion Support” chat icon on your Facebook page to initiate a chat session with your agents. If you face any issues while adding Conversion Support’s live chat application to your Facebook page please contact us or write to us at support@conversionsupport.com.